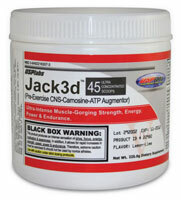 My two favorite pre-workout drinks are Jacked 3D and NO Explode. Below are the pros and cons based on my own experience with both of these supplements. 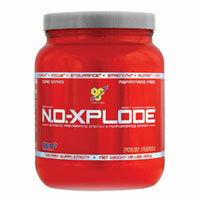 When I run out of Jacked 3D I will alternate and use NO Explode the next time I buy a pre-workout drink. I do this so my body doesn’t build a tolerance to one or the other. It is always smart to cycle off of any supplements for about every month and a half. Also, I recommend not taking and pre-workout drink after 8:00PM, unless you want to stay up until 6:00AM. When all is said and done I prefer jacked 3D over NO-Explode. But when my tolerance for jacked is high I know it is time to switch to NO-Explode or cycle off of the two all together. A lot of additional recovery supplements mixed in. Sometimes does not seem to give me a pump, depending on the day. This entry was posted in Supplements, Warm Up and tagged jacked 3d, NO Explode, pre workout, supplements by Russell Jensen. Bookmark the permalink. Jack3d is good, but as far as energy and intensity of pumps go, you should try White Flood. I can do a set of ATG squats and get an arm pump, lol. NO Xplode is not what it’s hyped to be. Causes vasodilation for a good 5-6 hours, but not as much focus and drive as other supps. It’s also pretty harsh on the liver, which was disturbing to me. White Flood? Sounds interesting. If you would like to write a review on it I can post it on Exercisesandworkouts.com http://exercisesandworkouts.com. I’m sure the other readers would want to hear more about it.